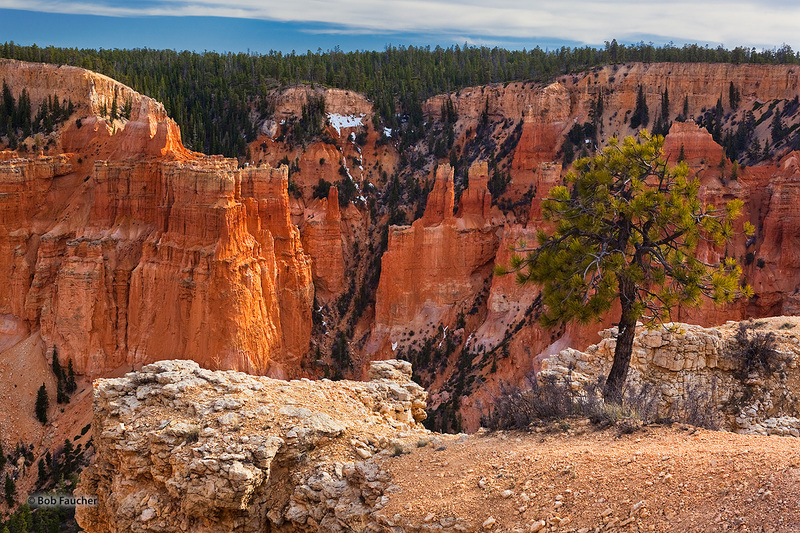 The Paria View Overlook in Bryce Canyon receives fewer guests than its more famous cousins, only a short distance away, on the northeast side of the mesa. It offers nice contrasts in the color and form of the rocks, as well as a single pine perched on the canyon's rim, just begging for some attention. Photo © copyright by Robert Faucher.